S7 Technics (S7T), Russian biggest independent provider of maintenance, repair and overhaul (MRO) services, has fully prepared its second site for the maintenance of the newest generation of Boeing 737MAX aircraft. The MRO specialist’s facility at Moscow’s Domodedovo airport is now approved to carry out maintenance procedures on the Boeing 737-7/8/9MAX powered by CFMI’s LEAP-1B engines under its own EASA Part 145 certificate which was earned in November 2018. The company’s Moscow-based technical team of 15 have been trained for the type and have all the necessary tools and equipment at their disposal for B737MAX line and base maintenance, up to C-checks. They received their theoretical training at S7 Technics’ training centre as well as hands-on experience at Boeing in the USA. The S7T training centre added the type capability to its EASA Part 147 licence in February 2018 and prepared the first group of B1+B2 category technicians last spring. In response to a growing demand in the region for maintenance staff training for western-built aircraft, S7T’s training centre expanded its facilities in the second half of 2018. The company also offers on-site staff training elsewhere. For instance, the training schedule for the B737MAX has also recently been completed at Ufa, in the republic of Bashkortostan. “The [original] creation of our own centre 10 years ago to provide European-level staff training primarily for S7 Technics has helped the company reduce the cost of staff training compared with relying on outsourced services in foreign centres. We have been helping to train technical staff for many Russian airlines and MRO providers, thereby contributing to the financial success of S7 Technics whilst also catering to the needs of our holding with regard to highly qualified staff,” comments Igor Ivanovsky, director of the S7 Technics training centre. 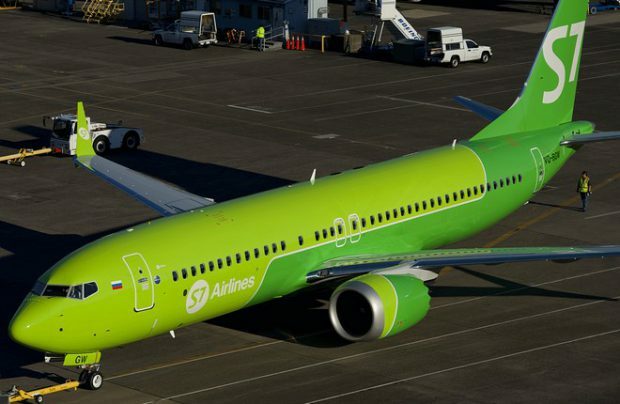 According to S7T’s estimates, within five to seven years, Russia’s collective fleet of Boeing 737MAX aircraft will stretch to 100 units, so the MRO market for the type is poised for growth. Presumably, such a figure is the result of those airlines’ B737MAX firm orders that have already been placed, as well as the projected replacement of B737NGs currently operated by those airlines which have not yet formulated their fleet plans. “The Boeing 737MAX, along with the Airbus A320neo, will gradually replace the previous generation of narrow-body aircraft. Whereas today in Russia, just like elsewhere in the world, more than half of the MRO market is for Boeing 737NG and Airbus A320ceo, by 2029 this niche will be fully occupied by the MAX and the neo. In other words, the Boeing 737MAX MRO market appears to be a perspective to us,” adds Igor Panshin, deputy general director for planning and sales at S7 Technics. Sibir Technic, the Novosibirsk, Tolmachevo airport-based facility of S7 Technics holding, has already commenced such work on the Boeing 737 MAX. This means that Boeing 737 MAX operators can now choose between S7T sites in Siberia and in the European part of Russia, the MRO provider says.